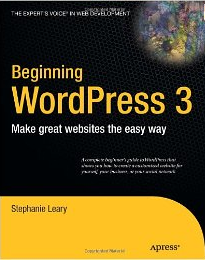 It’s been awhile since I wanted to review Stephanie Leary’s book about WordPress 3.0. I bought the Kindle version last October while I was getting ready to present a WordPress session at the CASE Conference for Publications Professionals. I’ve been using WordPress for the past 6 years. I started this blog with WP 1.2 in February 2005 and have been using WordPress ever since for it as well as several other websites and projects of mine. Last year, I followed from afar the progress on this book as I worked with its technical reviewer, Shelley Keith, on the Open Source CMS Fair webinar series at that time. I met Stephanie Leary back in 2007 at the Higher Ed Web conference when it was still organized in Rochester, NY. Stephanie is a great higher ed professional and writer who knows WordPress inside out. That’s also why I asked her to present an advanced session at the upcoming 3-webinar series, WordPress University: Strategies, tools and shortcuts for WordPress-based higher ed websites (March 22-24, 2011). But, now that I’m done with the disclaimers, let’s jump right in my 1-1-1 Express Book Review of Beginning WordPress 3 by Stephanie Leary. While this book wasn’t designed as a book exclusively targeted to folks working in higher education, it includes examples and practical applications taken right from the higher ed playbook. In the 1st chapter “About WordPress” Stephanie shares a few examples of websites powered with WP and has included several higher ed websites, proving this way that the application is indeed more than just a blogging platform. This makes the print version of this book very valuable if you’re trying to show to your decision makers that WordPress is a viable and trustworthy CMS solution for a university or a college website. Just bring the book to your meeting! Some people will only believe what they see. The title. I didn’t like too much the title because I don’t think it does justice to the book. As several reviewers have pointed out on Amazon, this book isn’t a beginner book. It won’t just teach you in details how to use WordPress to post content on the Web. It does so much more than its title, Beginning WordPress 3, lets us assume. While I’ve been using WP for the past 6 years in different settings, I still managed to learn several very useful things by reading this book including how to import HTML content in a WP site, working on plugins and advanced themes, creating or changing user roles and fixing performance and security issues. If you’ve followed WP news for some time, you know that two of the major changes brought by its version 3 released last summer were the merging of WP single and multiple users versions and the introduction of custom content types. In the chapter 12 of her book, “Custom Types, Taxonomies and Fields,” Stephanie provides a great overview of this great new feature. 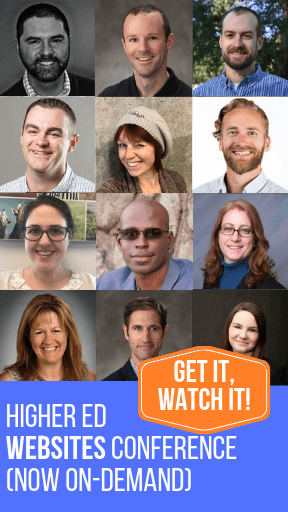 She also shows – with detailed explanations, screenshots and code – how to create a course catalog powered by WordPress. So, if you were looking for a flexible and easy-to-implement solution for your course catalog, the chapter 12 might be all you need.